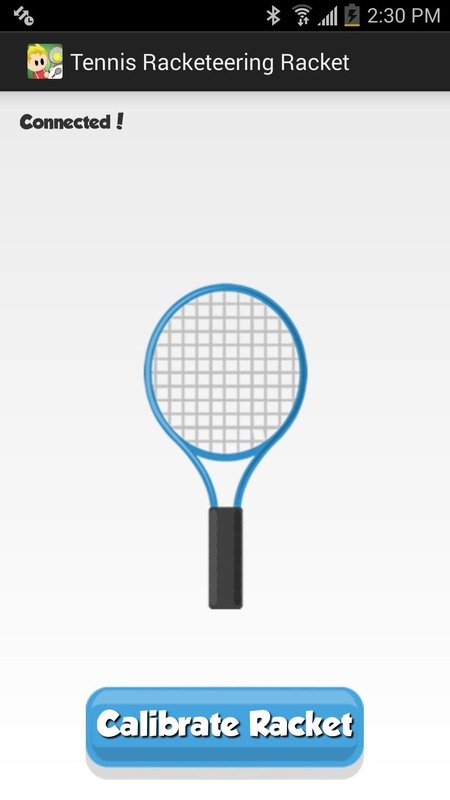 Note: You don't need a second Android device to play the game, just if you want to have a remote racket. There are on-screen controls in the main app. If one of your two devices is larger than the other, I'd suggest designating that one as the one to display the actual gameplay on. When you're ready, install Tennis Racketeering on the larger device. You won't be installing the same app on the smaller Android device that you'll be using as a racket. Instead, install Tennis Racketeering Racket. If you don't have a second Android phone or tablet, you could also use an Android Wear device, or just use the on-screen controls in the main app (skip down to Step 6 in that case). Now that you've got the apps installed, make sure that your two Android devices can communicate via Bluetooth. This can be done by going to "Bluetooth" in your "Settings" and pairing the devices. 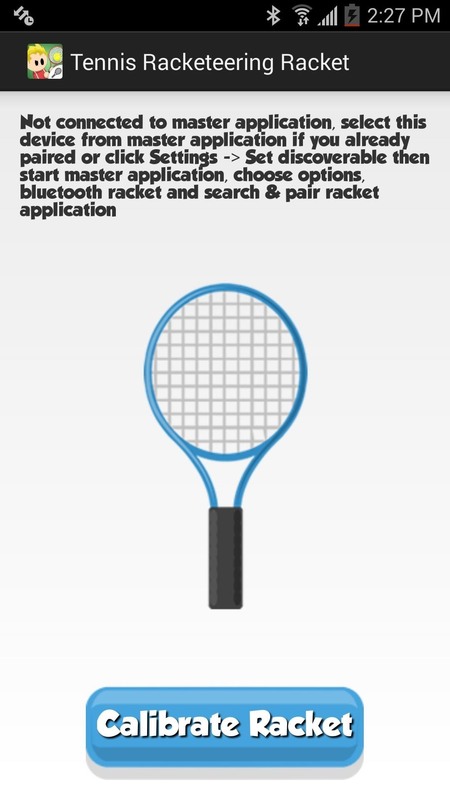 Now launch the game on the larger Android device and go to "Options," then "Bluetooth Rackets." 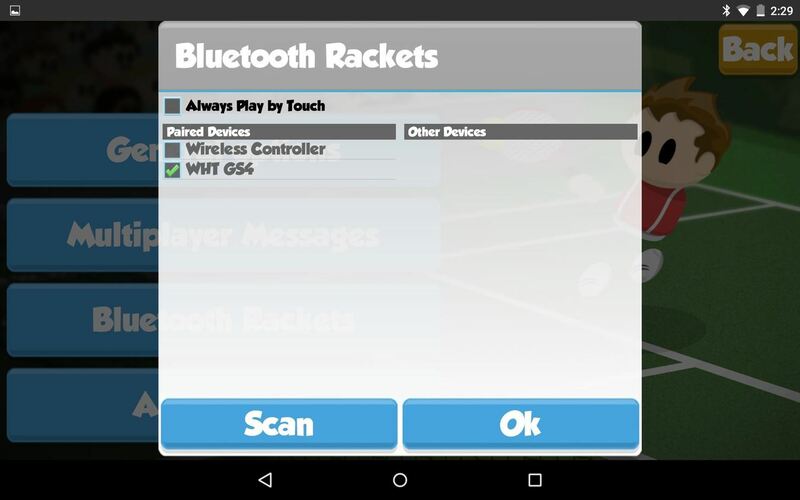 If you successfully paired your devices, you will see the racket (device) listed under Paired Devices. 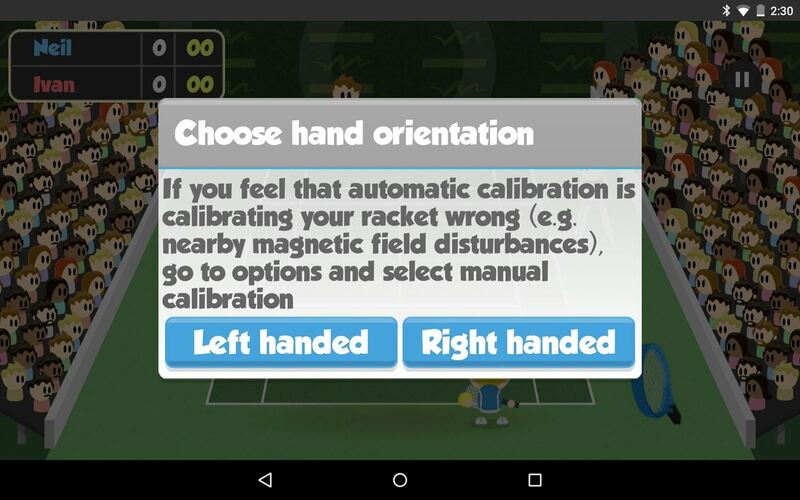 Select your device and tap "Ok."
Next, open up the Racket app on your smaller device and hit the "Calibrate Racket" button to pair it with the main game. You'll know when you've successfully been paired by the "Connected!" text. When you launch the game in "Single-player" mode on the main app, you'll receive a disclaimer informing you to be careful. You'll be waving your phone around with force and it may slip out of your hand (which is why an Android Wear device might be better). But once you've acknowledged this, start the game, select whether you're left- or right-handed, and enjoy. 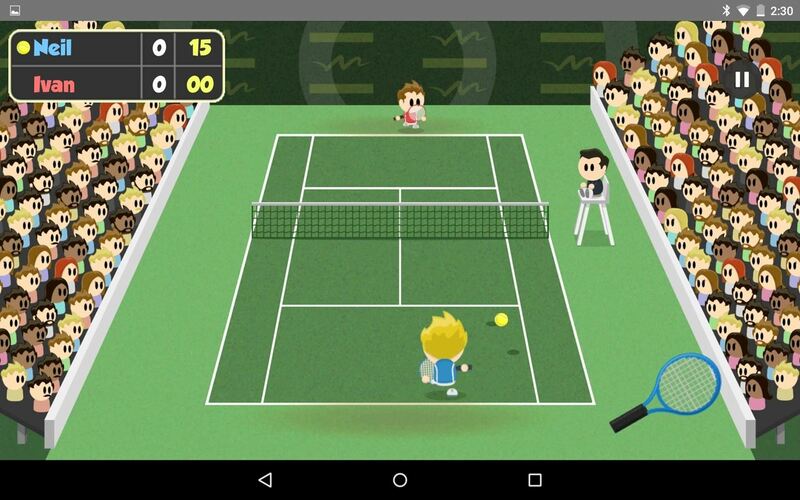 It feels a lot like Wii Sports: Tennis, but for Android! PS: On your racket device, the screen must remain on in order for it to work, so don't accidentally lock the screen or let it fall asleep. Unfortunately, you cannot pair a third Android device as another racket for "Multiplayer" mode. If your friend is trying to go head-to-head with you, then they'll also need two devices (or just one if they want to use the on-screen controls), and they'll need to be invited to join your game. To send an invite, select "Multiplayer," then invite them via Google+. Additionally, you can tap "Quick Game" to play a random player. After seven days, you'll be required to upgrade via an in-app purchase for $3.99 if you want to continue to use a second device as a racket. If you don't want to pay, you can still play the game on a single device using the on-screen controls. How do you like playing Tennis Racketeering? Does it make you feel like you're using a Wiimote (Wii Remote) or not? Let us know below. And make sure to follow Gadget Hacks over on Facebook, Google+, and Twitter to stay up to date on Android news, games, and tips.